Nature Fights Back Against GM Corn! Friday, September 7, 2012 - Years ago, a TV ad proclaimed, "You can’t fool Mother nature." That seems to still be true today! Witness the fact that the tiny corn rootworm has outsmarted Monsanto’s genetic engineering and has become resistant to the Bt protein in GM corn. Reports from various sources indicate that pesticide-resistant rootworms are showing up weeks earlier and more voraciously than ever. While the new "superbug" rootworms may lead to serious financial woes for both farmers and consumers, a more serious concern is that the genes used to create GM crops are able to survive in our digestive tracts, move into our bloodstreams and, in the case of pregnant women, show up in their developing infants. The research contradicts repeated contentions by Monsanto and the EPA that only insects would be hurt by GM crops. (NaturalNews) Corn genetically engineered by Monsanto to kill western corn rootworm is reportedly being devoured by those pests with a vengeance. Thanks to heavy reliance on the genetically modified (GM) crops, the tiny rootworm pest has overtaken fields, outsmarting the genetic engineering that was supposed to keep it away. 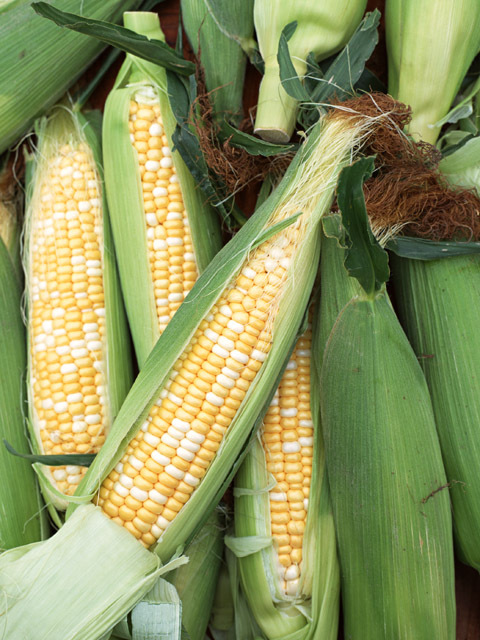 The GM corn, launched in 2003, is engineered to produce a protein, known as Cry3Bb1, derived from a bacterium known as Bacillus thuringiensis, or Bt. In theory, rootworms ingest Bt corn roots and the protein is fatal. However, recent reports indicate that pesticide-resistant rootworms are showing up weeks earlier and more voraciously than ever. In a research paper published in the July/August/September 2012 issue of the journal GM Crops & Food, scientists reported that samples taken in 2010 indicated that rootworm populations had an eleven-fold survival rate on Cry3Bb1 maize than did control populations. The paper noted that resistant corn rootworm populations first identified in 2009 had three-fold survival rates on Cry3Bb1 maize at that time compared to other populations. Mike Gray, a professor of entomology with the University of Illinois reported: "We’re still early in the growing season, and the adults are about a month ahead of schedule," explained Gray. "I was surprised to see them - and there were a lot." Reports of increasing rootworm damage began coming in last year after Iowa State University researcher Aaron Gassmann published a study saying that the rootworms in Iowa were becoming resistant to GM corn, creating so-called "superbugs." Farmers in several states found that the western corn rootworm was surviving after ingesting an insecticidal toxin produced by the corn plants. With both demand and prices high, many farmers are planting corn year after year and on more acres, increasing the possibility that resistance could develop. Typically, corn farmers have had to rotate corn crops to minimize pest pressures. But with Bt corn, many simply planted "corn on corn," year after year. Federal regulators require a 20 percent "refuge" of non-Bt corn near Bt acres, but many growers have ignored that and oversight has been lax. The new "superbug" rootworms may lead to serious financial woes for both farmers and the rest of us, according to a letter sent to the Environmental Protection Agency (EPA) by 22 prominent scientists and corn-management experts from the U.S. Department of Agriculture and universities across the Midwestern Corn Belt. Patrick Porter, PhD, associate professor at Texas A&M University, who drafted the letter, noted that farmers are paying almost twice as much for seeds that don't live up to their promises, and are then having to resort to insecticides on top of that. The potential result, according to Porter, is crop failure which could raise food prices at the grocery store. Porter said, "If farmers start taking damage (from) any pest, that will lower yields. That will reduce the supply of corn and increase prices." Porter also noted that when prices for corn go up, more farmers start planting corn despite the risks, and when growers shift to growing more of one crop, they grow less of other crops and those crops' prices also go up. Adding to GM crop concerns, recent research from Canadian scientists found that pesticides used on genetically modified (GM) crops and, in some cases, the genes used to create GM crops are able to survive in our digestive tracts, move into our bloodstreams and, in the case of pregnant women, show up in their developing infants. The research contradicts repeated contentions by Monsanto and the EPA that only insects would be hurt by GM crops.